Bringing a rival to the Tesla Model X, the Roomzz will feature a modular three-row seating format that can be transformed into a ‘lounge on wheels’ if the car’s Level 4 autonomous driving capabilities are being used. 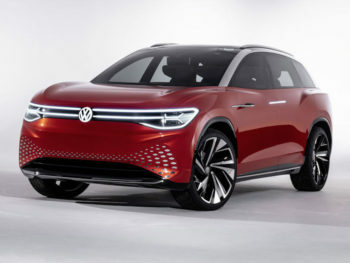 The four-wheel drive model will feature an electric motor on each axle, bringing total system output of 306hp and giving a 0-100km/h (62mph) time of 6.6 seconds with a top speed of 180km/h (112mph). It features an 82kWh battery that gives a WLTP range of up to 450km (280 miles) or 475 km (NEDC, China) and can be recharged to 80% of its capacity via a 150kW fast charging system. The concept model – which debuts this week at the Auto Shanghai motor show – uses a digital cockpit with a steering wheel that integrates into the dash when not in use. The Roomzz will join the I.D. family alongside models including the smaller Crozz SUV, the Buzz van/MPV, the Vizzion saloon revealed at last year’s Geneva and the Buggy. Like its counterparts, it’s built on VW’s MEB Modular Electric Drive Matrix platform; last month saw the Group announce that Seat is to take the lead on developing a smaller version of the platform for ‘affordable’ EVs.